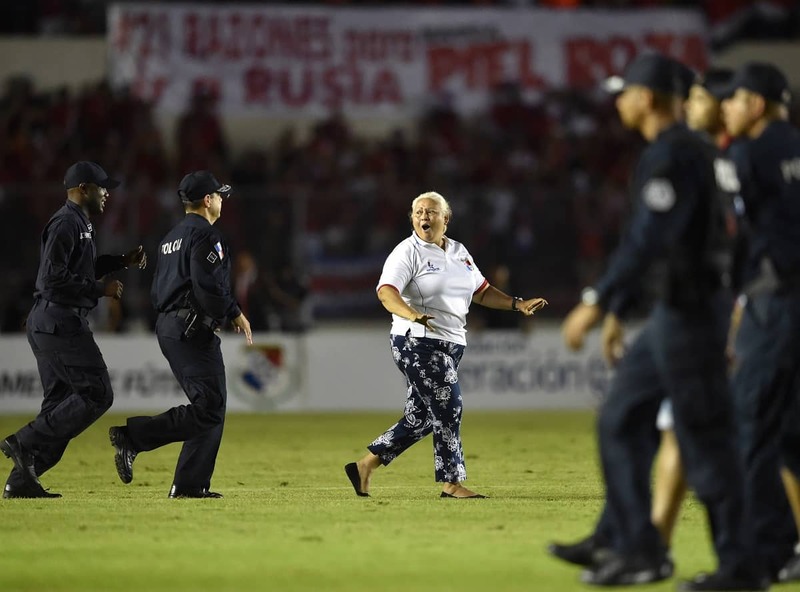 A Panamanian fan ran onto the field after her team classified for the 2018 World Cup by defeating Costa Rica 2-1 in Panama City on Oct. 10. Panama had never before classified for a World Cup. Fans and players alike delighted after a goal in the 88th minute clinched a berth for Panama, while simultaneously eliminating the United States and sending Honduras to a two-game playoff against Australia. Mexico and Costa Rica had already classified. See more photos from the Costa Rica-Panama match here.